Although there are now proven behavioral and psychological methods of dealing with and alleviating chronic pain, methods that can supplement or replace drug treatments, these are not always applied in clinical practice. This volume in the series, Advances in Psychotherapy -- Evidence-Based Practice, provides psychological and medical therapists (and students) with practical and evidence-based guidance on diagnosis and treatment of chronic pain, and does so in a uniquely “reader-friendly” manner. The book is both a compact “how-to” reference, for use by professional clinicians in their daily work, as well as an ideal educational resource for students and for practice-oriented continuing education. The most important feature of the book is that it is practical and “reader-friendly.” It has a similar structure to others in the series, and is a compact and easy-to-follow guide covering all aspects of practice that are relevant in real-life. Tables, boxed clinical “pearls,” and marginal notes assist orientation, while checklists for copying and summary boxes provide tools for use in daily practice. "This book is written in a concise, practical style. Its organization facilitates quick access to a wealth of clinical information. It provides a multitude of references appropriate for both patients and practitioners, should further education be desired." "Chronic Pain is a small gem. [The authors] provide sage insights based on their clinical experience and available research into the complexities of patients with chronic pain...in a succinct and user-friendly package." 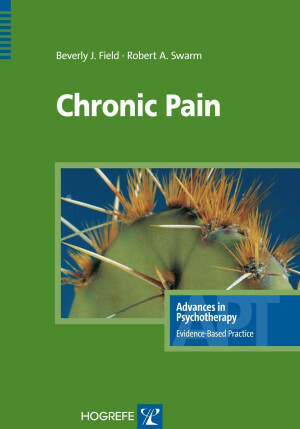 "[This book] contains an invaluable overview of assessment and treatment strategies for persons with chronic pain. [It] is highly recommended for healthcare providers and students alike." "Chronic Pain presents up-to-date information to the provider who has been overlooked in the treatment of pain."